Today I will be sharing my haul from the Sephora Beauty Insider Spring Bonus event. My previous post outlined my recommendations for the sale which you can read here. The sale runs from April 13th-16th for Rouge members and continues on April 20th-23rd for 15% off. The VIB and Beauty Insider dates run from April 20th-23rd. You also get an exclusive card case and 7 samples with every purchase when you shop in stores. I just picked up a few things, nothing too crazy. I currently have plenty of unused makeup and skincare items in my stash that I need to use up. Keep reading to see what I purchased. This a nine-piece set contains skincare essentials for a day-to-night regimen. The products included are all powered by plants, fruits and flowers. The It includes must-have skincare products an eye cream to an exfoliating treatment to face masks. I've previously tried the Farmacy Honey Potion Hydration Mask and I really like it. I'm intrigued to try the rest because I heard so many things great things about them. Some of the items are quite pricey so I'm glad to test them out before I splurge on the full-size products. The highlighter junkie in me had to pick up a new highlighter. 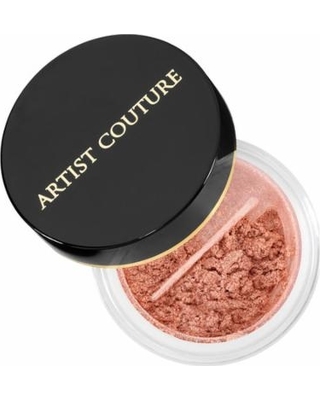 I'm so glad that Artist Couture is now available at Sephora because their highlighters are next level. The Diamond Glow Powders are a shimmering loose powder highlighter with highly reflective, iridescent pearls. I picked up the shade Conceited which is an iridescent gold-bronze shade. I also have the shade Gold Digger and both can give a subtle luminous sheen and build to an intense glow. It can be worn on the face, eyes, lips and body. Huda Beauty has added new colour options to her Matte Mini Sets. Each set contains four mini Liquid Matte Lipsticks. I ordered the Au Naturels Nudes Edition. I really enjoy the formula on the Huda Beauty liquid lipsticks and I don't own any of the shades in this set. I will do a separate post with swatches once my order comes in. This is my favourite brow pencil to use and I pick a new one every time there is a sale. I like to have extra on hand because they finish so fast. That's it for my small haul. Let me know what you guys picked up or planning to pick up.